There is nothing better than the smell of freshly baked bread. Bread machines not only produce that fresh bread aroma but are for more than just making bread. Any yeast based product can be made in a bread machine. The machine mixes, allows time for rising, beats down and mixes again. All automated with a push of a button. So next time you want to make pizza dough, sticky buns, bread sticks, baguettes, or focaccia think about using your bread maker. With so many bread makers available on the market today, we have rounded up the best of the best to make your search for the perfect bread making machine easy. 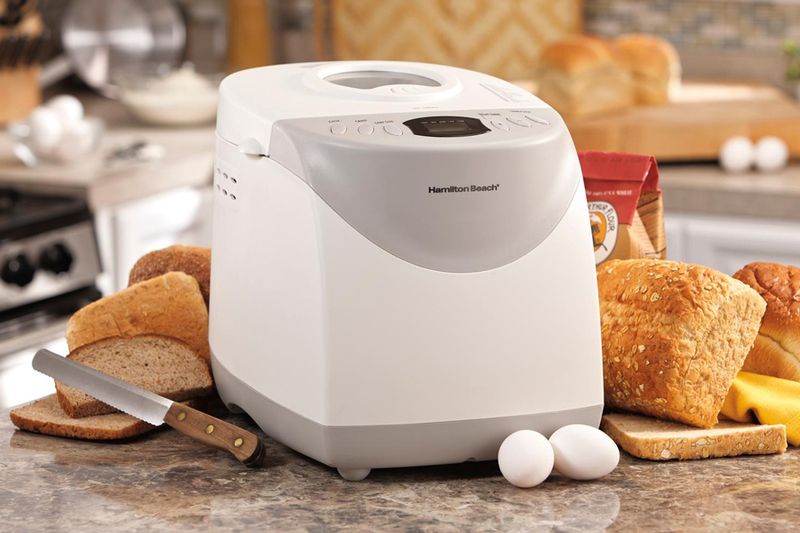 The Panasonic SD YD250 Automatic Bread Dispenser is an automatic bread making machine that makes the cumbersome task of bread making as easy as pressing a few buttons. Set the kind of bread you want to make, what color you want the crust, and what time you would like it to be ready. Come back when it is done and enjoy freshly made bread. The Panasonic SD YD250 comes with a 550 watt motor. It mixes, kneads, rises and bakes fresh bread. You can also mix, knead and rise without baking. This is perfect for things like pizza dough, bread sticks and even cakes and other non-yeast breads. 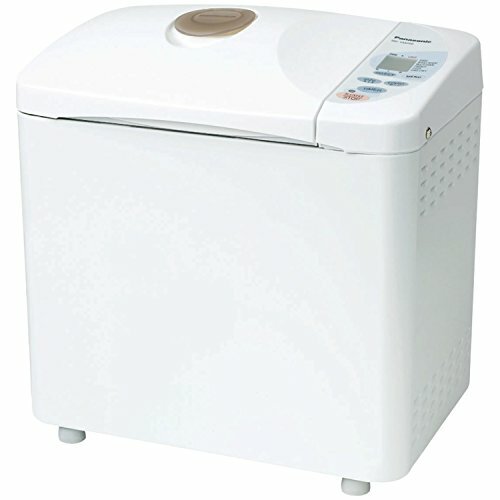 The Panasonic SD YD250 can make three different loaf sizes and adds yeast at the perfect time, through a dispenser on the lid. Choose from 5 different settings which include, white, whole wheat, multi grain, French and quick breads. There is also a 13 hour delay timer, which enables you to have the bread ready at exactly the time you need it. Set it before you go to work and come home to freshly made bread that is still hot for dinner. 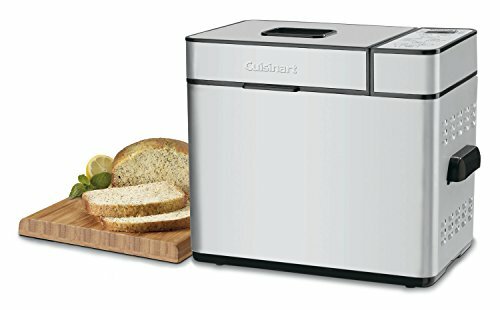 The Cuisinart CBK 100 2 Pound Programmable Breadmaker is fully automatic so you can wake up to the smell of freshly baked bread in the morning. Just add the ingredients, adjust the settings for the type of bread you are making, and set the timer (there is a 13 hour delay timer). It is that simple. The Cuisinart CBK 100 2 Pound Programmable Breadmaker makes three different loaf sizes. You can make a 1 pound, 1 ½ pound or a 2 pound loaf of bread. It has three crusts setting for light, medium and dark and includes a removable lid, pan and paddle for easy clean up. The Cuisinart CBK 100 allows for last minute mix-ins. If you are making a fruit cake or want to add nuts to the bread, there is a spout to add the mix-ins late in the kneading and rising process. The pan also allows for the making of jams and other liquids. One other nice feature is that when the mixing and rising is complete the machine beeps, allowing you to remove the mixing paddle. This makes it so there is not a hole in every loaf of bread you make. The Oster CKSTBRTW20 2 Pound-Expressbake Breadmaker is a great bread machine for busy families. It will serve all of your basic bread making needs. It makes a loaf of bread up to 2 pounds. The Oster CKSTBRTW20 2-Pound-Expressbake Breadmaker comes with 9 settings for bread options and 3 crust options including light, medium and dark. There is also an express setting which allows you to make bread in under an hour. For meal planning the Oster CKSTBRTW20 2 Pound Expressbake-Breadmaker includes a 13 hour delay start timer, allowing you to serve fresh baked bread whenever it fits your schedule. 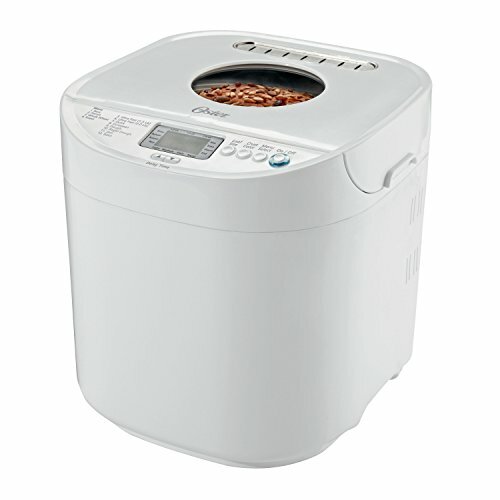 The Oster CKSTBRTW20 2 Pound Expressbake Breadmaker is easy to use and fully automatic. It comes with a recipe book that gets you started. Simply add the ingredients, making note about how to add the yeast. Then select the settings that will produce the type of bread you are making and press start. A few hours later you have freshly made bread and your home will smell heavenly.